This affordable desktop will outperform any laptop in the same price range. These days, practically every household needs a computer. Even if your job doesn’t require you to peddle presentations after hours, everything from shopping to budgeting to keeping in touch with friends is a vastly more convenient with a keyboard and mouse. And who can resist the occasional foray into the spectacular world of YouTube “fail” videos? PCs can be expensive, though. That’s why hundreds of millions of people rely on 5-year-old-plus computers. 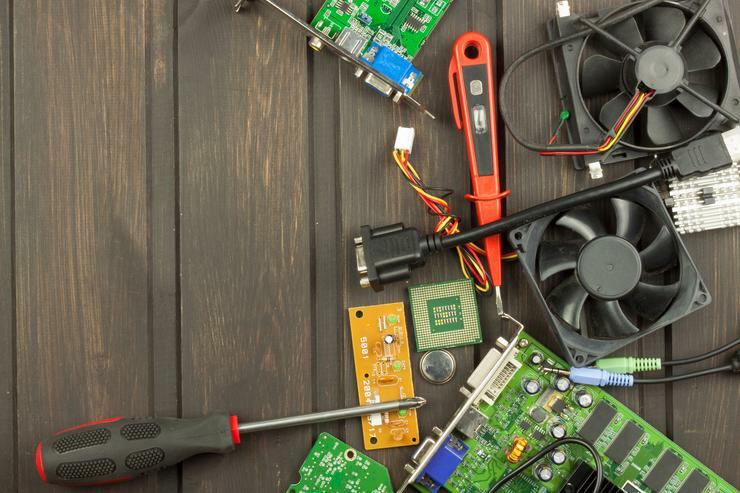 For many folks, PCs are appliances rather than toys—pricey tools that are replaced only when they break, and reluctantly even then. But PCs don’t have to be expensive. Here’s how to build a cheap PC that can expertly handle all the “normal stuff” people do—web browsing, Office tasks, email, video playback, you name it—and do so on a tight budget. In fact, at less than $300, this budget PC is far cheaper than the average $448 selling price of Windows laptops, while still far less pokey than the cheap-o $250 Chromebooks stuffed with Celeron processors. And you’ll have a full keyboard and mouse to get stuff done. We didn’t actually build and test this configuration, but as with our $500 gaming PC build, this is what I would put together if I wanted an ultra-affordable PC that won’t chug under the weight of Word documents. Got it? Good. Let’s start with the heart of it all. While graphics cards are the cornerstone of a gaming PC, this computer isn’t built to power digital adventures. It’s focused on the normal tasks people perform. So we’ll bypass graphics cards completely and start with the heart of this particular PC: Intel’s 3.3GHz Pentium G4400 processor ($59.14 on Newegg). 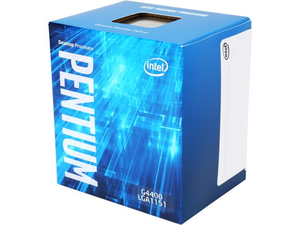 You can find cheaper chips, but the Pentium G4400 strikes a superb balance of power and price. It’s roughly half the cost of the cheapest Core i3 processor, but blows away AMD’s similarly priced A6-7600K APU ($51.95 at Amazon) in performance, according to Hardware Secrets. The CPU should handle basic everyday tasks without frustrating slowdowns—exactly what you want from a cheap PC. The Pentium G4400 also provides a solid upgrade path if you want to give your PC more oomph in the future. It’s built using Intel’s 14nm Skylake architecture, so you can swap in a Core i3, Core i5, or Core i7 Skylake chip for much more potency if your computing needs ramp up. What’s more, Intel’s next-gen Kaby Lake chips are expected to use the same motherboards as Skylake when they release in 2017. I’m going to go with the same motherboard suggested in my $500 gaming PC build, Gigabyte’s GA-H110M-A ($45 on Amazon). But while it was a matter of balancing the budget in the budget gaming build, here it’s a matter of practicality. The Gigabyte GA-H110M-A features Intel’s H110 chipset—by far the most bare-bones Skylake motherboard technology available. You won’t be overclocking the Pentium or using cutting-edge NVMe SSDs here. But you aren’t looking for those sorts of features in a PC built for web surfing, document slinging, and video playback. You might as well save cash by skipping upgrades you don’t need. You only need 4GB of memory in a PC designed for everyday tasks. 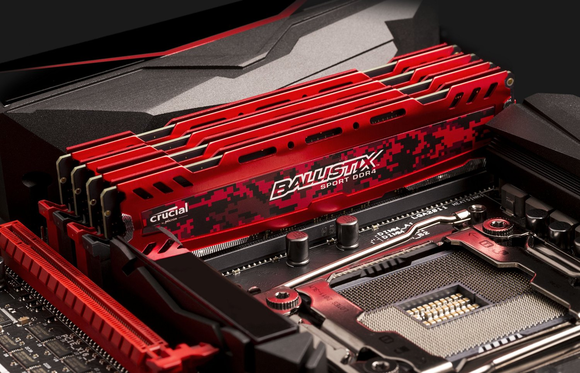 The Crucial Ballistix Sport LT DDR4 ($20 on Amazon) delivers that in a single RAM stick, leaving the other memory slot on your motherboard open in case you decide to get into gaming and add another 4GB down the line. Like this, but with a single stick of RAM. Take note: If you decide to go with another memory option, Skylake motherboards require newer DDR4 memory, not DDR3. Again, we’re going for practicality here. Solid-state drives are the single best upgrade you can make in a PC, but while SSD prices are plummeting, traditional hard drives remain far more affordable. Western Digital’s 1TB Blue hard drive ($50 on Amazon) packs plenty of space for everybody’s files, and that “Blue” designation means its platters spin at a brisk 7,200RPM, making it one of the faster mechanical hard drives available. You don’t need a big power supply for a PC this modest. A mere 300-watt unit would suffice, according to Outervision’s PSU calculator. But here’s the thing: EVGA’s 500 W1 ($37.48 on Amazon) actually costs slightly less than the cheapest decent 300W to 400W power supply I could find on Newegg, Seasonic’s SSR-350ST at $40. The Seasonic unit features 80 Plus Bronze certification that the EVGA 500 W1 lacks, but EVGA’s a trusted name in power supplies. You might as well get more power for less money in case you decide to add more storage drives or expand to gaming later. Yes, you can find no-name or OEM power supplies for less, but don’t go down that road. A bad power supply can blow up your whole system. It’s worth investing in a known brand.